There is something about British film, and I just cannot seem to put my finger on what it is. For one thing, a film with such pronounced social relism as The Stars Look Down could never have been made by a major Hollywood studio. Just compare it with John Ford’s The Grapes of Wrath from the same year, which is an excellent film but much more romanticized. But there is something else as well. 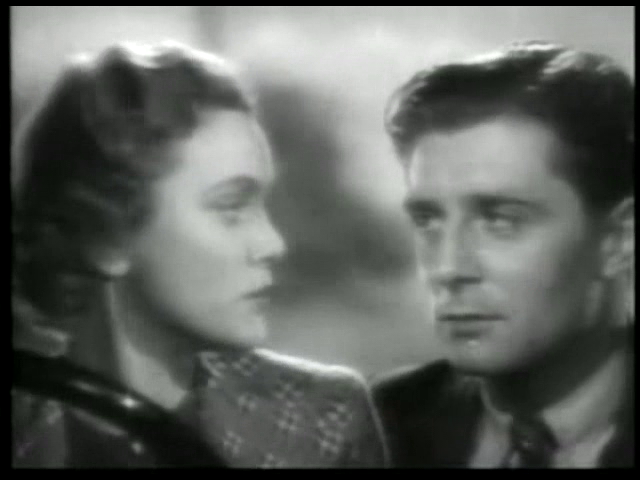 Even when looking at a film such as Q Planes (1939), a film which is clearly influenced by Hollywood in terms of theme and dramaturgy, there is a kind of British fingerprint. It seems to me that there is something in the dialogue and body language of the actors, and it lies beyond superficial things like that lovely British accent. But let us go back to The Stars Look Down. Davey lives in a small English town. He works in the coal mine, just like his father and his brother, but his sharp intelligence has earned him a scholarship at a university, and he starts to become politically active. Love gets in the way of his academic aspirations, but there are still important fights to fight for his fellow coal miners. The Stars Look Down is not only a film about the hard life of the miners. It is also about the conflicts between family and career, between different social classes, and between profit and maximum welfare for all. The edition available at the Internat Archive is, unfortunately, the American release, which has minor but unnecessary changes at the beginning and end, making it significantly more romanticized, melodramatic, even. Speaking of differences between British and American film. 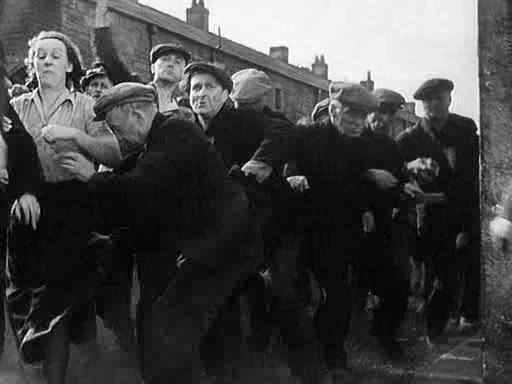 This film is best enjoyed for its believable and warm portrayal of the lives of English miners. 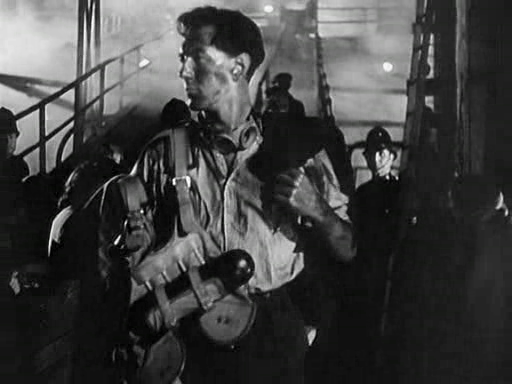 It handles all of its various themes well, and weaves them together into a balanced whole, but the beginning and end, which let us into the miners’ lives, are clearly the high points of a very good film. 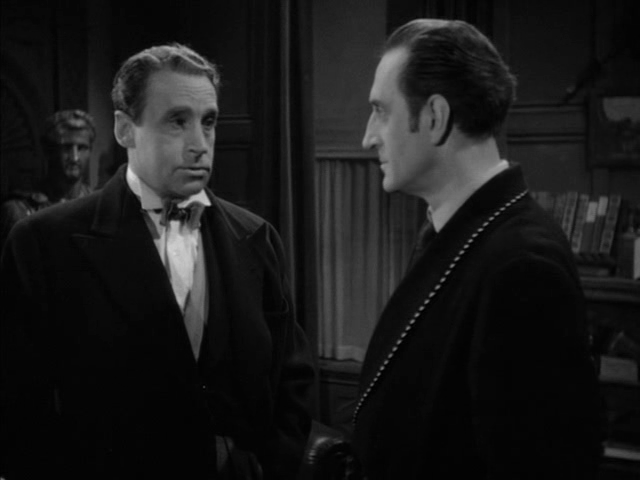 One of Hitchcock‘s most common themes, and one which remained with him for almost his entire career, is that of an innocent man (or woman) who has to flee from the authorities in order to clean his name. There is also bound to be a bit of romance and love along the way. 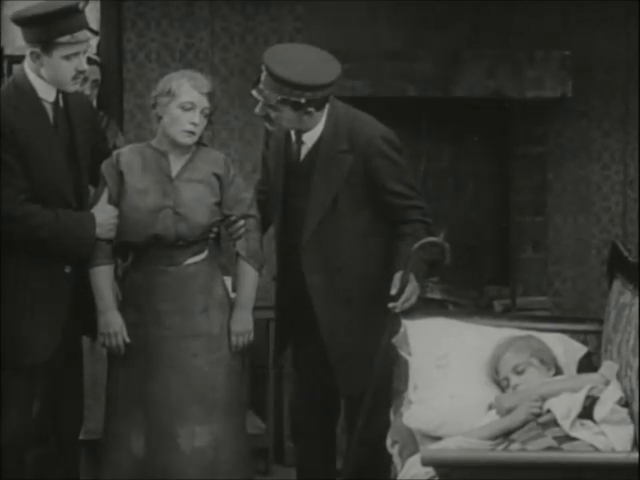 Hitchcock’s most famous movie of this kind was perhaps North by Northwest, but he used it many times, even in one of his early silent films. Young and Innocent (known as The Girl Was Young in America) is a typical example. Here we see young Robert who happens to be the first to find a murdered woman. It turns out that the murder was committed with a belt from a raincoat, just such a raincoat that Robert claims was stolen from him earlier. To make matters worse, Robert appears to have a motive since he had unfinished business with the woman. Hitchcock’s way of telling the story is typical. There is never any doubt about where our sympathies are supposed to lie, just as there is never any real doubt that the ending will be a happy one. So very soon after the film has begun, we know pretty much how the story will end. And even so, Hitchcock manages to enthrall us, and makes us stay spellbound right up to the very end. The excitement in this kind of Hitchcock story stems not from the uncertainty about the ending, as in a good whodunnit, but in what way we are going to get there. Our protagonist is placed in a seemingly endless series of predicaments, each of which seems nearly without escape. Thus, Hitchcock manages to build simultaneously upon our inherent demand for security and our wish to be excited and just a little bit terrified. 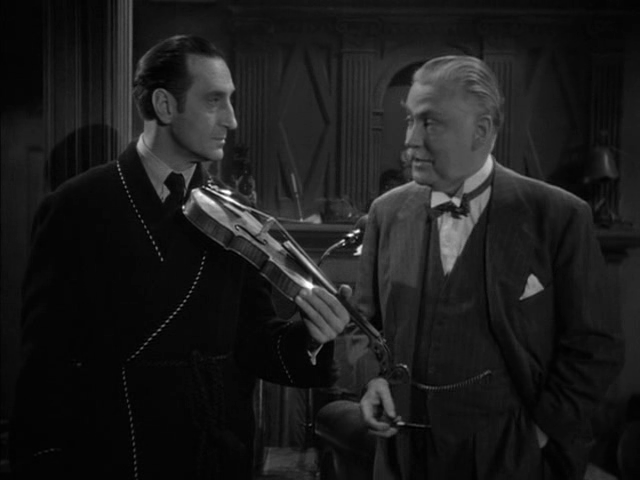 It is interesting that the novel upon which Young and Innocent was based is originally a whodunnit, but Hitchcock took away and added elements until he had the story he was interested in telling. There is a clear relationship between this “falsely accused” subgenre and the road movie genre, since the plot often involves the protagonist fleeing from place to place, trying to pick up clues or just staying one step ahead of his hunters. 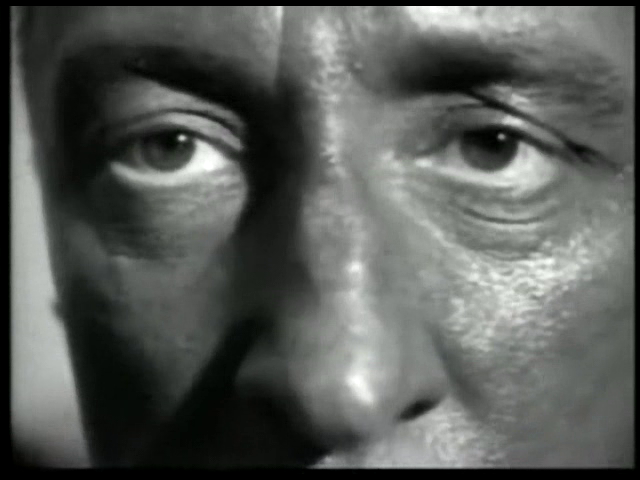 However, unlike a proper road movie, there is rarely much real character development evident in Hitchcock’s protagonists. This film is best enjoyed for Hitchcock’s masterful storytelling techniques, not least the wonderful dolly tracking sequence through the ballroom and onto extreme closeup on the face of a band member. Brilliant and elegant. In 1913, D.W. Griffith was making silly shorts such as The Telephone Girl and the Lady, Charlie Chaplin had not yet started making films at all, and even Hollywood itself had barely even received its name. In short, American film was struggling to get on its feet. This is the kind of perspective you need in order to fully appreciate just how amazing a film such as Ingeborg Holm by Victor Sjöström was for its time. Sjöström created a delightful little melodrama about the struggling wife and mother Ingeborg Holm, who suffers the misery of seeing her husband die shortly after he has started up a new grocery store. She inherits the store, but due to mismanagement by the hired staff, the business soon goes bankrupt and she is faced with heavy debts. The film gives a fine portrait of a strong woman, and explores the limits of misery that a human being can suffer. Today, Ingeborg Holm may appear somewhat static with all its stationary cameras and long shots, only very rarely featuring a closeup. But Ingeborg Holm is also the oldest film I have yet reviewed here, and compared with the films from the next few years, it is easy to see that Sjöström was way ahead of his competition. Even compared with a masterpiece like The Birth of a Nation (1915), Sjöström shows integrity in cutting and composition that few if any contemporaries could match. If you want to watch good feature film, you really cannot go much farther back than this. This film is best enjoyed for its historical significance, and as a foretelling of what the future had in store. It is also interesting for its image of poverty in Sweden over a hundred years ago.